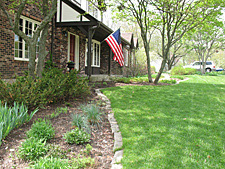 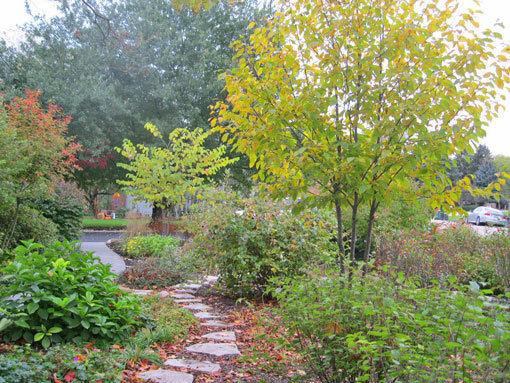 ST. CHARLES PROJECT – Front yard with less lawn, bird habitat, pond and integrating existing plants. 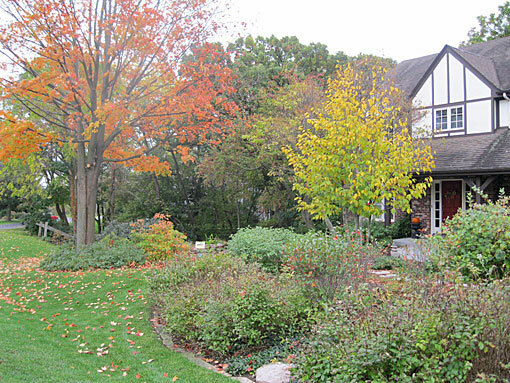 Most of the front lawn was replaced with native plants for seasonal interest, attracting birds and integrating homeowner’s existing plants. 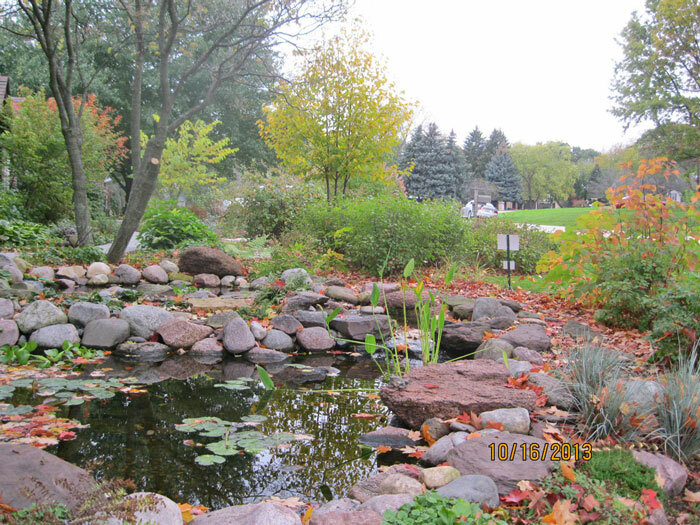 A pond near the front door and picture window welcomes human, bird, frog and canine visitors – the neighbor’s dog from across the street relaxes on the rocks next to the pond every day.